Internet service providers serving the Long Beach area have special deals for low-income families who may not have been able to afford a broadband subscription in the past. What: For $21.99 per month, qualifying families may sign up for Frontier’s Affordable Broadband program, which offers access to high-speed internet. The offer includes a free Chromebook laptop and free wireless router, with no monthly contracts. Contact: Prospective customers may visit https://frontier.com/offer/affordable-broadband-chromebook or call 1-866-868-0547. What: Spectrum Internet Assist internet service is available to qualifying families and senior citizens. Spectrum Internet Assist provides high-speed internet for $14.99/month, with no modem fees, data caps or contracts. Contact: Prospective customers may visit www.spectruminternetassist.com or call 1-844-525-1574. Long Beach residents can get help on how to operate computing devices, navigate the internet and apply for jobs online through community groups that provide classes and computers for people who lack broadband at home. 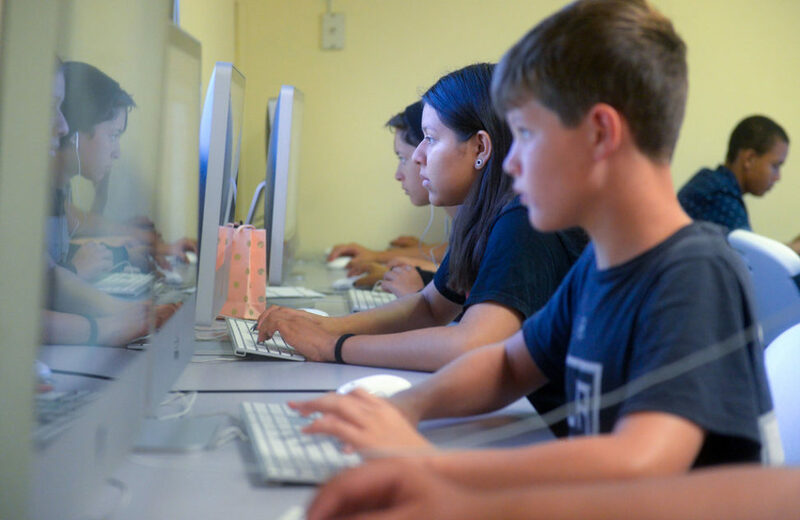 Two of the more prominent groups that teach digital literacy classes, train people and offer other services are the YMCA of Greater Long Beach and Centro CHA.